With Christmas approaching, you can pick up a Tormek at quite a good price at the moment, particularly care of parity of the Australian and US dollars. Latest price I’ve seen is $899 for the T7 from Carbatec, and $599 for the T3. 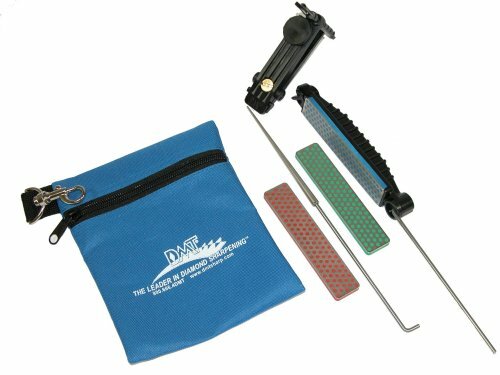 That will obviously produce exceptional edges on all your sharp tools (with the right jigs), but for small knives I’ve also come across this product from DMT (which also has an excellent name in their chosen field) which is surprisingly (or not such a surprise given it is DMT) effective. The Deluxe Aligner (strange name) has a knife holder, guide bar, stone holder and 3 DMT diamond stones (45 micron, 25 micron, 9 micron). 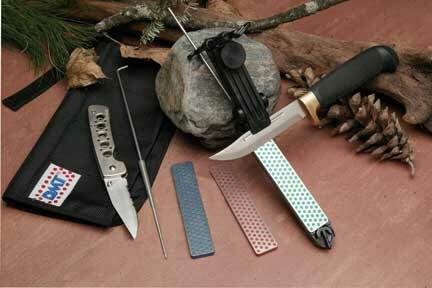 It also has a round file for serrated blades and a storage bag. When you first see it/set it up, its plastic feel and seemingly loose tolerances don’t fill you with the confidence that it can do the job, but I was again surprised how effective it was, particularly on a small blade like my Leatherman, and small kitchen knives (4″ & 6″). 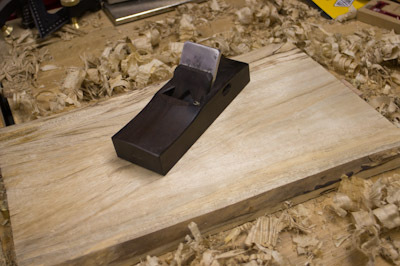 The knife is secure, and using the height adjustment you set the angle for the grind/hone. It is double sided so you can flip it over to do the other side as well. After working with the first stone, it is easily changed out without affecting the settings so you can work through the three stone grades. For once, serrated edges are not forgotten either, and a tapered (cone) sharpener is provided which uses the same guide to achieve the repeated and repeatable angle to sharpen inside the serrations. 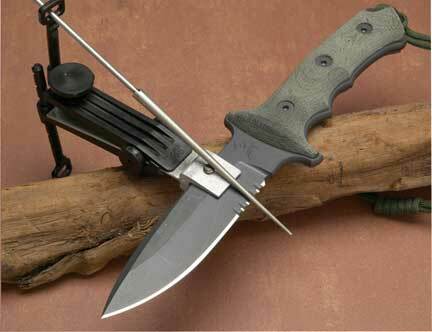 Again very beneficial for my Leatherman which has both a straight blade and a serrated one. Now approaching 2 years since the shed upgrade, and I’m still dealing with some of the after effects. But I’m getting there slowly. Was out at the shed last night to almost 3am, watching episodes of “The Wire” on the TV, and going through boxes of stuff that hadn’t been unpacked since the crazy hazy days of the deliberate shed implosion. 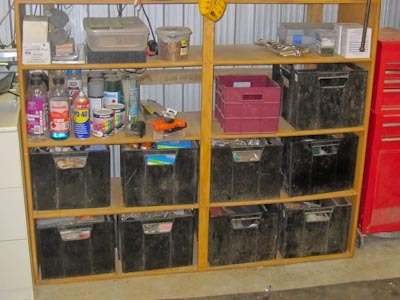 It won’t mean too much to you – the boxes here don’t look all that different from other times they’ve been seen, but this time there is a lot more organisation than chaos represented. So obviously lots still to do. Looking at sheds that really have it all together, and I can’t begin to imagine how many hours, weeks, even years of work have gone into creating the havens they are. 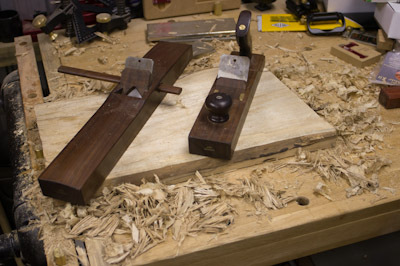 While in a clean-up phase of mind, I also had a look at my sharpening jigs, and decided to wall-mount them. The T7 came with the wall mount for the original jigs, and given I still have the boxes the other jigs came in that were designed to be hung, thought that might be as good a way as any to continue to display them for ready access. Below my jig wall, I’ve taken a spare support arm I had from the Triton/Scheppach sharpener and drilled a couple of holes for it. It is there because some of the jigs don’t fit back into their original box when assembled, so I thought they could be stored on this arm instead. 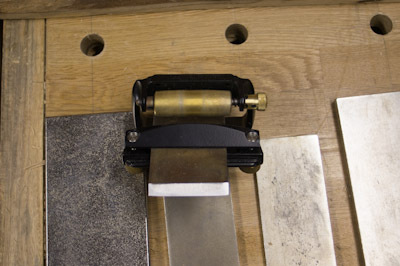 I have done the same for the Scheppach planer blade sharpening jig, if only to store it. As someone pointed out, it doesn’t fit the Tormek because there is a different distance between centres of the support arm. 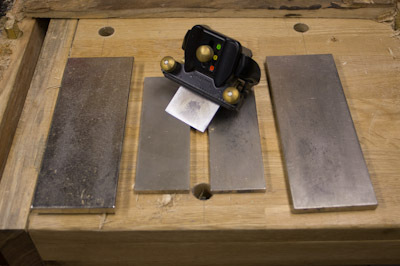 With the right jig, these machines can sharpen most tools in the shop. 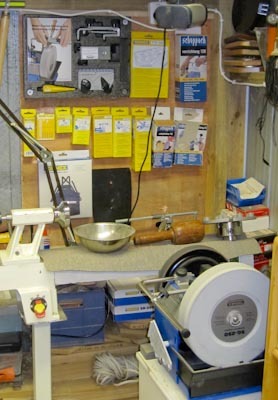 If you could only have 5 tools for all your woodworking for one year what would they be? The set I have runs from Extra Coarse, Coarse, Fine, Extra Fine and Extra Extra Fine (there is also an Extra Extra Coarse stone on its way, but it has had a slight….uh….delay). The diamond stones are an impressive way of sharpening. I have used a number of different methods and they all have advantages and disadvantages, including scary sharp (sandpaper), waterstones and slow speed watercooled grinding wheel. 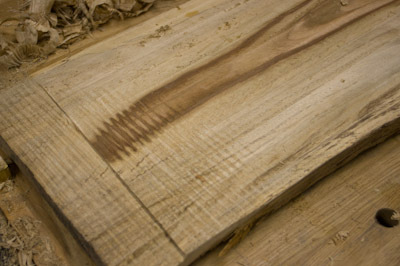 The DMT Diamond Stones are flat, and unlike waterstones remain flat irrespective of grinding technique. 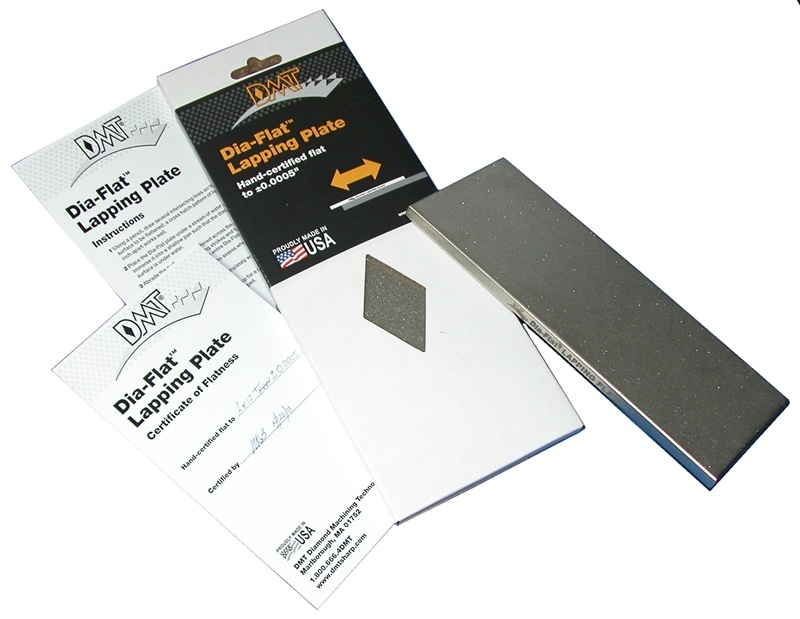 They cut extremely well – unlike sandpaper they continue cutting as long as you need, without the sandpaper wearing out. It was quite surprising using the finest 2 stones, particularly the extra extra fine (8000 grit) – to look at it you can hardly pick which side has diamonds and which doesn’t – they are that fine. So it was quite impressive seeing the river of black that was generated – the finest particles being removed from the surface of the chisel leaving a near mirror finish. In time, when the stone is broken in properly, it would not be surprising to get a fully mirrored finish off this stone – quite impressive. I’ll keep trying, but I’m still finding it hard to justify the time involved! Looking like a model for a proposed youth skateboard park, the new DMT Diamond Wave was released about a month or so ago, and has since surfed its way down under to Stu’s Shed. At 10″ long, and a continuously changing diameter surface at some point many gouges etc will get a match. I can almost imagine one mounted to the side of the lathe, and as you are turning, you can take a couple of swipes on either side to get a perfect edge.